HOW MUCH HIIT SHOULD YOU RECOMMEND? Prescription for results: new research shows the optimum amount of HIIT we need, and suggests official guidelines should be set. Does this scenario sound familiar to anyone? With the rise and rise of HIIT training, it’s becoming more common for members to forgo their longer, less intense workouts and swap them out for sessions where they go harder for a shorter period of time. 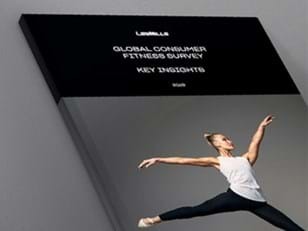 I’ve personally had members tell me they have replaced all their BODYPUMP™ classes with LES MILLS GRIT Strength. After all, why slog it out for an hour when you can get fast results in half the time? More is more, right? Wrong. 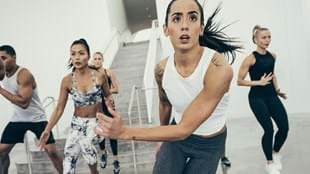 New research now proves that, rather than participants’ results increasing as their workout duration increases, it turns out there is a specific tipping point when too much HIIT leaves people unable to reach the 90%+ heart rate zone – the hallmark of a typical HIIT workout and key ingredient for producing transformative fitness effects – and more prone to injury. The study findings – presented by Associate Professor Jinger Gottschall at the 2018 American College of Sports Medicine conference this month – show that the sweet spot of HIIT lies at 30-40 minutes maximum per week, across two workouts, with one full day’s recovery between sessions. For the most part, the stress HIIT puts the body under is beneficial – as it’s this stress that drives change. But the body is only able to handle a certain amount of stress at once. It turns out that engaging in too much HIIT actually can become detrimental to results. Professor Gottschall says “Fitness fans love HIIT and are motivated by the results it promises. These results come from going as hard as you can for a short period of time, resting, and then repeating. It’s a formula that allows you to keep reaching your maximum training zone again and again, shocking your body each and every workout. “But what our research findings tell us is that there is only so much HIIT a regular exerciser can do in one week before their performance during HIIT drops back to a heart rate zone that’s more typical of a fitness class we’d categorize as vigorous, rather than high intensity. Not only does this reduce your training’s effectiveness, says Gottschall, it can actually have a negative impact. The risk of injury intensifies – typically because good technique may be compromised. Depending on fitness level and other training session intensities, if exercisers spend more than 40-60 minutes a week with their heart rate above 85 percent max (as it is during the majority of a HIIT workout), injury incidence and over-training symptoms increase. Dropping the intensity can mean that training shifts into the vigorous-intensity interval based training category (which is often defined as 70-85 percent max heart rate). While this can be completed for longer periods of time per week, Gottschall says there are lower impact forces, and a focus on different physiological systems. Consequently, members won’t achieve the same benefits of a true (above 85 percent max heart rate) HIIT workout. So, rather than reducing the intensity of their interval training, embracing moderate-intensity cardio can be a wise move. Furthermore, the value of moderate-intensity cardio should not be overlooked. This finding doesn’t mean you need to cut back on all the LES MILLS GRIT or LES MILLS SPRINT™ classes that you personally teach! When we instruct the class, we are only doing a part of the workout, so this guideline of two sessions a week doesn’t apply to teaching; it only applies to participating in the workout. However, it does mean you should be mindful of how much HIIT you are personal accumulating during your working week, and look at balancing your teaching timetable to provide you with enough recovery between classes. It's also worth remembering that HIIT isn’t for everyone. If someone is brand new to exercise, they should begin by training a mix of cardio and resistance training consistently for six months before starting to swap out a cardio session for a shorter HIIT session. 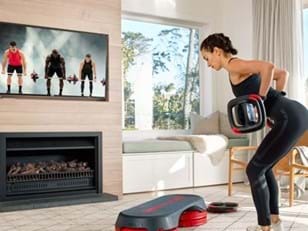 It’s a great idea for newbies to build a fitness foundation with a resistance programme such as BODYPUMP and a cardio programme such BODYATTACK™ before they jump into a LES MILLS GRIT class. When we educate our exercisers on how to maximise their results whilst simultaneously reducing their risk of injury, we are more likely to promote retention and increase adherence to exercise. And that’s great news for us, and for our participants.